We want people with sight loss to have the skills, equipment and confidence to lead independent lives and we provide specially tailored services to meet individual needs. They provide an extensive range of support to adults in their own homes and the community. They are trained to help you find solutions to overcome fears or challenges by offering practical support, advice and information. Before the visit our Advice and Support Officer will contact you and complete a questionnaire. They will then agree a convenient time for the visit to take place. If you would like a family member, friend or another professional with you please just let us know. During the home visits we will work through an assessment with you to help to identify what assistance you might need. You will be able to tell the Advice and Support Officer if you are having any difficulties managing tasks at home. They can suggest ways in which you can be supported and show you aids and equipment or which can help you. Some people may need support to get involved in activities in their community and to feel safe and confident doing so. 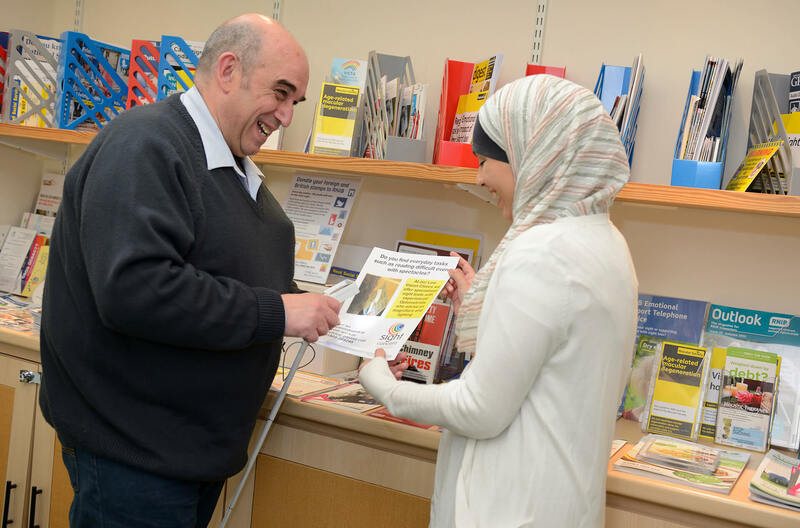 Your local Advice and Support Officer may provide support initially to help you to develop confidence when attending new activities as well as with training people who provide activities, run services, shops, etc. Together you will create a support plan that identifies the goals that you want to achieve and how you can work together to achieve these. putting you in touch with other organisations that can support you such as the Rehabilitation Officers at the Sensory Impairment Team or Guide Dogs for the Blind or community services such as Care and Repair or Age UK. In addition, they can refer you for ongoing support from one of our specially trained volunteers.